Selecting the best Fantasy Premier League midfielders for your team is probably the most important part of creating a lineup because they can accumulate a lot of points for your FPL team. Midfielders have the potential to be the top fantasy league points scorers, while others are able of contributing double digit assists. We have drawn up a list of the best Fantasy Premier League Midfielders who are specialists in both aspects. In this article we take a look at the top fantasy premier league midfielders to include in your FPL team. Even if there’s few matches taken place in this season, this list will help you in a way when you are in doubt when choosing the best midfielder for your fantasy premier league lineup. In this format of Fantasy Premier League, where goals and assists count the most, you should avoid choosing defensive midfielders who will not contribute to the attack and can only harm your chance of winning by collecting yellow cards. So, when picking the best Fantasy Premier League midfielders, you must go for the ones who are key attacking players in their respective teams, but also, who can score goals and create assists from set-pieces. 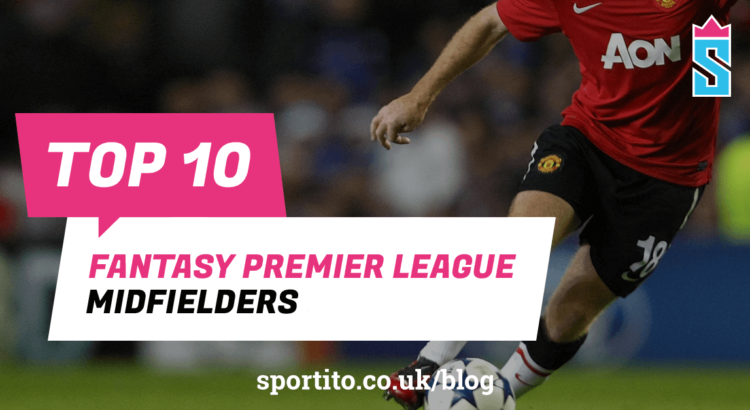 With so many talented individuals playing in the EPL at the moment, this list can be quite large, but we’ve highlighted ten top Fantasy Premier League Midfielders for the 2017/18 season. These players made our list of the best Fantasy Premier League Midfielders in the new season so far, but there are many others to pick from. In the end, it is your decision when picking the top Midfielders for your Daily Fantasy Football lineup, and we hope this list will help you to beat the other players on Sportito and win the cash prizes.